We offer innovative solutions and high quality packaging! 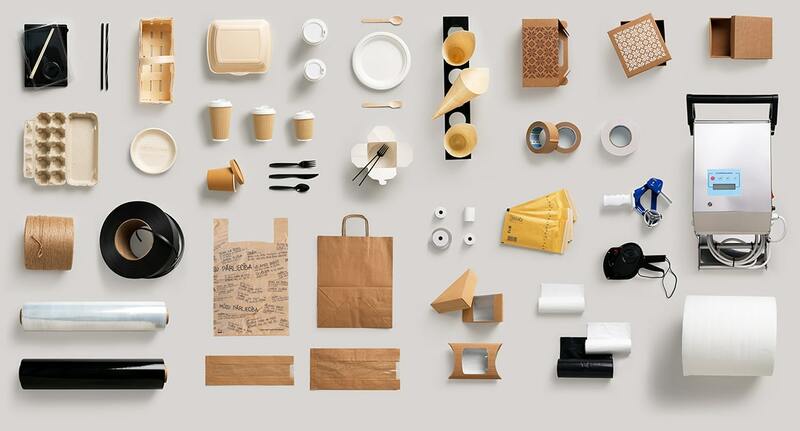 We help you find the best solutions for products packaging. Your partner for professional packaging solutions! A wide range of packaging materials distributor in Estonia since 1998. Be always first to receive the best deals and news on your email! The controller of personal data is Trader (Pack Holding OÜ, Peterburi tee 49, Tallinn 11415). In the processing of personal data the Trader follows the legislation of Estonia and the European Union. The Trader collects the following personal information: the name, the phone number, the email and the purchase history. Personal data is collected and processed for the following purposes: to sell goods, to manage orders, to deliver goods, to provide services, and serve Customers, to prepare purchase analyses, to analyze Customer preferences and the web usage statistics. The Trader has the right to make inquiries in the data base of personal data, to analyze and sort the data and compile samples. Personal data are processed for the purpose of executing a contract concluded with the Customer and for performing legal obligations (such as accounting and the settlement of consumer complaints). Personal data transmitted to the Trader is protected and treated as confidential information, including information about the custom and the Customer’s orders stored in the e-shop environment. The data communication between the Customer, banks and the card payment centre is encrypted, which ensures the safety of the Customer’s personal data and bank requisites. The Trader has no access to the Customer’s confidential bank and payment card details. Personal data are delivered to the customer support of the e-shop for the management of purchases and purchase history and for settling any problems that the Customer may have, and or the accounting unit for the performance of accounting procedures. The Trader delivers personal data entered by the Customer (the name, the phone number and the email address) for processing the order only and to the logistics partner for the delivery if such service by a partner is used. Personal data may be delivered to IT service providers if it is required to ensure the functionality of the e-shop or for data hosting. Personal data are stored in the servers located on the territory of a EU member state or states of the European Economic Area. The data may be delivered to the countries, whose data protection levels have been assessed as adequate by the European Commission and to the companies in the USA, who have joined the Privacy Shield framework. Personal data can be accessed by the staff of the e-shop in order to settle technical issues related to the use of the e-shop and to provide customer support. The Trader applies appropriate physical, organizational and IT security measures to protect personal data against accidental or unlawful destruction, loss, alteration or unauthorized access and disclosure. Personal data are delivered to the data processors of the e-shop (such as the providers of transport and data hosting services) and processed under contracts concluded between the e-shop and the processors. The processors must ensure appropriate safety measures when processing personal data. Personal data can be accessed and rectified in the Customer profile of the e-shop. If a purchase, an inquiry is made or feedback given without a Customer’s account (as a guest), personal data can be accessed via customer support. If personal data are processed according to the Customer’s consent, the Customer has the right to withdraw his/her consent by sending a notification to the customer support email address: info@pholding.ee. Personal data are erased upon the closure of a Customer account of the e-shop unless the storage of the data is necessary for accounting purposes or for the settlement of consumer disputes. The purchase history of online purchases made without a Customer’s account (as a guest) is stored for three years. For the erasure of personal data, customer support must be contacted via email info@pholding.ee. Requests of erasure are responded to not later than within one month and the period of erasure is specified. Requests to deliver personal data submitted via email are responded to within one month. The customer support identifies the person and indicates which personal data has to be delivered. The Trader has the right to use the Customer’s email address and phone number and address for sending direct marketing messages if the Customer has given a respective consent in the self-service environment. The Trader has the right to use the Customer’s email for sending direct marketing messages if the Customer has inserted his/her email address in the newsletter (direct marketing) box and confirmed the consent in the confirmation sent to the email. The Customer has the right to stop/cancel the collection and use of his/her personal data at any time unless it is necessary for a claim arising in relation with the contract or the delivery of goods. In order to remove personal data, the Customer sends a corresponding email to the Trader (info@pholding.ee) and/or follows the instructions described in the offer. The Customer can at any time cancel the newsletter sent in order to stop sending adverts to the Customer’s email by logging in to the e-shop self-service environment and/or click at the link “Leave newsletter list” at the bottom of the offer. When personal data are processed for the purpose of direct marketing (profiling), the Customer has the right to object at any time both – the initial and further processing of his/her personal data, including profiling related to direct marketing by notifying the customer support thereof via email to info@pholding.ee. Disputes concerning the processing of personal data are settled via customer support info@pholding.ee. The supervisory authority is the Estonian Data Protection Inspectorate (info@aki.ee). Within 6 months, the cause of the defect must be identified by the Trader. After this time (up to 2 years from the delivery date) the cause of the defect must be identified by the Customer. The cost must paid from the party whose identification will not be accepted. • The Client is caused unjustifiable inconveniences.